You are currently browsing the tag archive for the ‘Benjamin Britten’ tag. 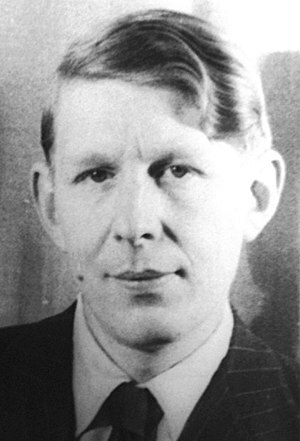 The Auden I love above all else is Night Mail. Predictable of me? Perhaps. Give yourself a treat and read it aloud. Don’t be shy. Feel the rising tide of excitement as the words trip off the tongue, mimicking exactly the clickety-clack as the night train ‘crosses the Border’ on its journey from London to Scotland to deliver the mail. Why does it always have to be a ‘rising tide’ or words ‘tripping off’ the tongue? It doesn’t, of course; they are clichés and I’m too tired to attempt anything original today! Stare from bushes at her blank-faced coaches. But a jug in a bedroom gently shakes. Dawn freshens, Her climb is done. To read about the 1936 documentary about the British postal service, for which Auden wrote Night Mail, and the music composed by Benjamin Britten, click here. In 1988, British Rail used Night Mail to advertise their services.